I love peanut butter. It doesn’t matter if its creamy or crunchy, I love it all. As I’ve mentioned in previous wellness posts, I add peanut butter to my banana yogurt smoothies. It improves the taste adding a nuttiness, which goes well with bananas, but also health benefits. I usually go for light version of peanut butter, thinking it would help me lose weight. But a few weeks ago, my perception of peanut butter changed. I was in the gym eating after a workout. 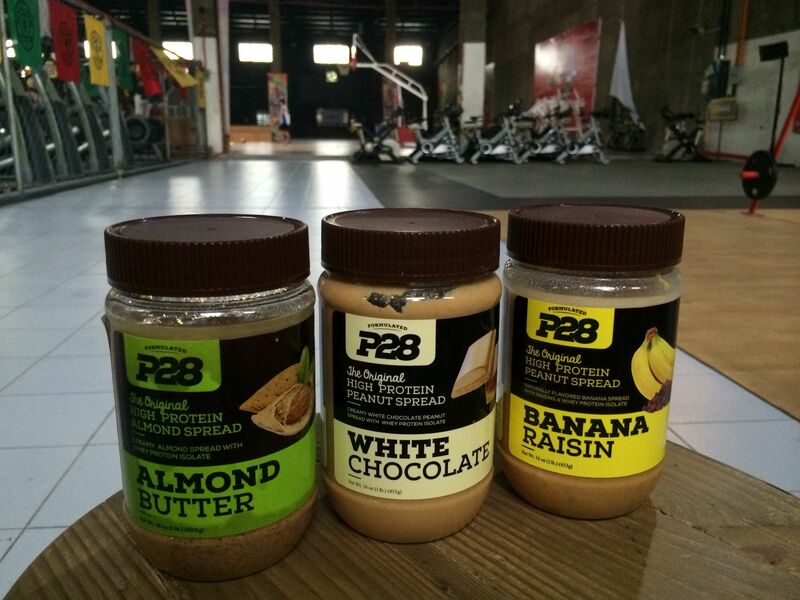 A lady named Stefi was sampling a protein rich peanut butter called, P28 Spreads. Happy with the salad I made for myself, I wasn’t really keen on sampling her product. But later on, I tasted what she had to offer. It was not hard sell, but I learned a thing or two about peanut butter. First, her peanut butter spreads all had a layer of oil on top. Accustomed to buying Skippy light peanut butter with extremely creamy finish and no oil, I frowned on this. But I learned this. You must choose natural peanut butter, with no additives and preservatives. How to tell if your peanut butter is natural? There’s a layer of oil on top. The natural oils of peanuts rise to the top of the jar. Second, choose peanut butter with little sugar added and no preservatives. What are the health benefits of peanut butter? It is a great source of protein. Protein is necessary to repair cells and muscles, provides a source of energy and controls many important processes related to metabolism. It is rich in mono-saturated fat and B Vitamin Folate, nutrients needed for cardiovascular health. Watch out, though, Peanut butter is rich in calories. Two Tablespoons is the maximum recommended serving size. It is an ideal snack or post-workout fix! After tasting P28’s different flavors: Signature Blend, Almond Butter, White Chocolate, and Banana Raisin, I was hooked. It was not all sweet. It was chunky. It even reminded me of a childhood candy treat Filipinos love, Chocnut. I liked the signature blend made of almonds, peanuts, cranberries, Sunflower Seeds, Honey, Flax Seeds, Cinnamon, and Whey Protein. This is an extremely nutrient rich blend high in Protein and Omega-3’s. But my favorite is the Almond Butter. After doing some research, I learned P28 was developed by three brothers in the bakery business in Canada. Overweight and out of shape, they joined the local gym and hired a trainer. But their trainer emphasized the importance of changing their diets. They realized just working out didn’t help them lose weight. These three bread loving brothers then developed a healthy line of bread to help them lose weight, introducing protein rich bread in 2008. Then they expanded to protein rich peanut butter spreads. Two tablespoons gives you 28 grams of protein. I am now a convert to natural peanut butter. 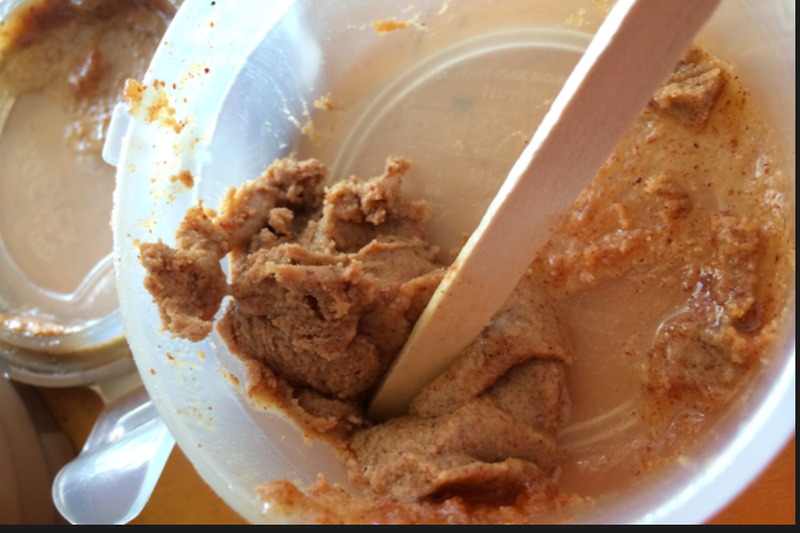 I bring a small container with 2 Tablespoons of P28 Almond Butter to snack on during the day. I even look forward to it more than my daily chocolate treat. It gives me much needed energy after a tough workout and it makes me happy. I also asked my mom if we could sell these healthy, delicious P28 spreads in our store, Chocfull of Nuts. So next time you buy peanut butter, choose wisely. Go natural (yes, with the oil on top), less processed, and less sugar. And take up two tablespoons a day. Remember, not all peanut butter are created equal. Alamak Sweetie, you missed it! It’s Singapore’s 1st ice cream fetvsial by ben n jerry held at fort canning on 6 dec. I dun meant that it’s for bloggers, but some bloggers are invited to go there eat ice cream and write for the event. hehenext time got interesting event i let u know ok? yes. please do, Mary! Thanks for getting in touch!